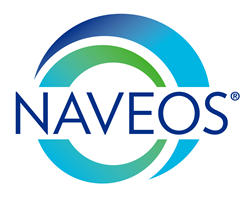 NAVEOS®, a proven leader in maximizing the value of governmental program reimbursement for healthcare providers headquartered in Northern Virginia, will host two live complimentary webinars entitled “IPPS 2017 Proposed Rule - Tactical Steps to Navigate Major DSH and Uncompensated Care Changes” on Tuesday, July 12th and Tuesday, July 19th from 2:00PM to 3:15PM Eastern Time. In April, the Centers for Medicare & Medicaid Services (CMS) released the 2017 Proposed Rule announcing the Uncompensated Care Pool (UCP) calculation for Medicare Disproportionate Share Hospitals (DSH) will transition away from the Days Proxy method to Worksheet S-10, Line 30 (non-Medicare UCC). There is little practical guidance in the 2017 Proposed Rule to show hospitals just what they will need to do to manage the major alteration in the redistribution of billions of dollars in uncompensated care reimbursement. This 75 minute webinar will cover in detail the changes made to DSH reimbursement under the 2017 Medicare Inpatient Prospective Payment System (IPPS) Proposed Rule and the actionable steps hospitals will need to take to prepare for the switch in the methodology CMS will use to distribute uncompensated care reimbursement. Join NAVEOS® founder, Robert Gricius, as he discusses practical steps hospitals will need to take to successfully navigate through these changes. He will review issues that remain unclear and highlight the areas in which facilities may provide commentary to CMS to improve the IPPS 2017 Final Rule; due to be published in August 2016. Register today for this complimentary webinar. Robert Gricius is a nationally recognized authority, speaker and expert witness in the area of healthcare finance. He holds a B.A. in Computer Science from the University of California, Berkeley, an MBA in Finance, and is a Certified Public Accountant in the Commonwealth of Virginia. After a career as a hospital Chief Financial Officer and Corporate Director of Managed Care for a $1 billion+ multi-hospital system in the Mid-Atlantic region, Mr. Gricius founded the healthcare data analytics firm, NAVEOS®, in 2005. He has led the development and deployment of the industry's only fully integrated healthcare data analytics software system with the associated administrative, regulatory and technical support. His leadership has resulted in the creation of electronic data interchange networks between clients and states that have over 93% of the Medicaid membership and 100% of all Medicare beneficiaries. NAVEOS® is the proven leader in maximizing the value of governmental program reimbursements for healthcare providers. Since 2005, our superior approach to data analytics has enabled healthcare providers to realize almost one billion dollars in additional Medicare DSH/340B reimbursement payments. NAVEOS® has developed a fully integrated Medicare DSH/340B software solution with a national eligibility verification network for both Medicare and Medicaid data. This system, which is the most robust in the industry, uses sophisticated algorithms to match eligibility data with patient data, applies the most up to date Federal and State regulatory parameters, then builds comprehensive deliverables for supporting DSH/340B filings. By leveraging our state-of-the-art technology and unsurpassed domain expertise, we generate best-in-class deliverables that yield impressive value and achieve a stellar (99.7%) audit acceptance rate. Our unique methodology for value creation has established NAVEOS® as industry thought leaders in healthcare reimbursement data analytics. Our services continue to evolve as the Affordable Care Act (ACA) presents new and diverse challenges that can only be met through the innovative analysis of “Big Data”. Questions can be directed to NAVEOS® at info(at)naveosdata(dot)com or (888)550-2708.